"Take care of him. And make him feel important. And if you can do that, you'll have a happy and wonderful marriage…Like two out of every ten couples." 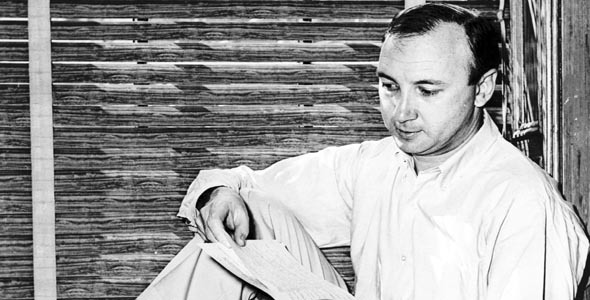 Neil Simon is the world’s most successful playwright. He has had dozens of plays and nearly as many major motion pictures produced. He has been showered with more Academy and Tony nominations than any other writer, and is the only playwright to have four Broadway productions running simultaneously. His plays have been produced in dozens of languages, and have been blockbuster hits from Beijing to Moscow. His true success, however, is in his unique way of exposing something real in the American spirit. 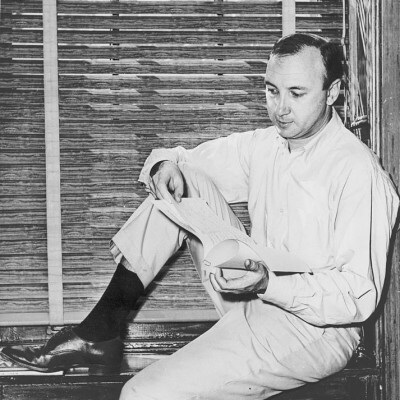 Born in the Bronx on July 4, 1927, Marvin Neil Simon grew up in Manhattan and for a short time attended NYU and the University of Denver. His most significant writing job came in the early 1950s when he joined the staff of YOUR SHOW OF SHOWS, a landmark live television comedy series. Sid Caesar’s hilariously cutting-edge program had some of the best comic minds in television working for it, including Mel Brooks, Woody Allen, Larry Gelbart, and Carl Reiner. “I knew,” said Simon, “when I walked INTO YOUR SHOW OF SHOWS, that this was the most talented group of writers that up until that time had ever been assembled together.” By the 1960s, Simon had begun to concentrate on writing plays for Broadway. His first hit came in 1961 with Come Blow Your Horn, and was soon after followed by the very successful comic romance Barefoot in the Park. Simon’s brother, Danny, who also worked on YOUR SHOW OF SHOWS, played a major role in his writing. Eight and a half years older, Danny brought Simon into the business and had shown him the ropes. In fact, it was Danny who provided the inspiration for one of Simon’s most enduring hits. After his divorce, Danny moved in with another divorced man, and this situation became the set-up for The Odd Couple (1966). Though Danny had begun writing the story himself, he reached a block and eventually handed it off to Simon who soon made it a smash on Broadway. Starring Jack Lemmon and Walter Matthau, the 1968 film version was equally successful and prompted a popular television series. By 1973, Simon was a major voice in contemporary comedy. But, that year he entered a low period in his life, when his wife of twenty years, died. Some time later, he met the actress Marsha Mason, and they were married. His 1977 play, Chapter Two, dramatizes the grief of a newly remarried man trying to start over after his wife has died. Chapter Two was considered one of his finest works and he followed it with a musical, They’re Playing Our Song. Throughout his four-decade career, Simon has drawn extensively on his own life and experience for materials for his plays. Many of his works take place in the working-class New York neighborhoods he knew so well as a child. One of Simon’s great achievements has been the insightful representation of the social atmosphere of those times in New York. With his autobiographical trilogy, Brighton Beach Memoirs (1983), Biloxi Blues (1985), and Broadway Bound (1986), Simon created a touching portrait of an individual, his family, and the world around them. With these plays, Simon found his greatest critical acclaim, and for his 1991 follow-up, “Lost in Yonkers,” Simon was awarded a Pulitzer Prize.